A great-fitting bra is the secret to looking and feeling amazing. Here’s a tip: check that you have the bra done up on the first hook. Make sure that the back band is horizontal across your body. The back should sit at the same level as your cups at the front and not ride up at the back. Check how firm the bra is against your body by running your fingers underneath the band right through to the underarm. You should be able to comfortably fit 2 fingers under the band. Check that the band fits snug enough to support your breasts without the straps on. The band should provide you with at least 80% support. First, adjust the straps for a firm but comfortable fit. Check the shoulder straps by running your fingers along the inside; the straps should not be so loose that they slip off or so tight that they leave marks. The straps should provide approximately 20% support. First, check the underwires on both sides. 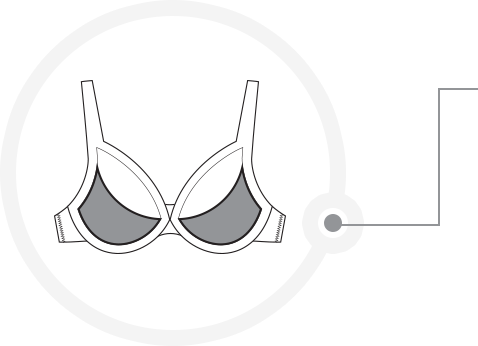 The correct positioning of the underwire is the most important part of the perfect fit. The underwire must sit against the chest exactly where the breast flesh finishes. 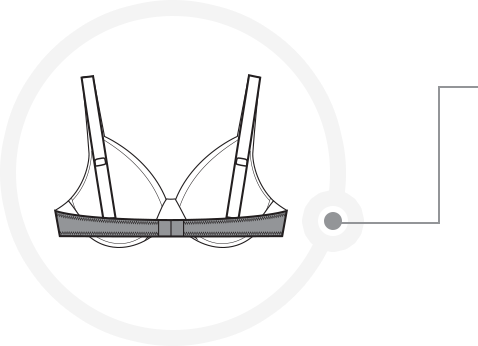 Make sure the sides of the bra are not too high under the arms and the centre is not being significantly pulled away from your chest. It is vital to check both underwires as some will have one side fuller than the other. Next, check the cups. The cups should be completely filled. 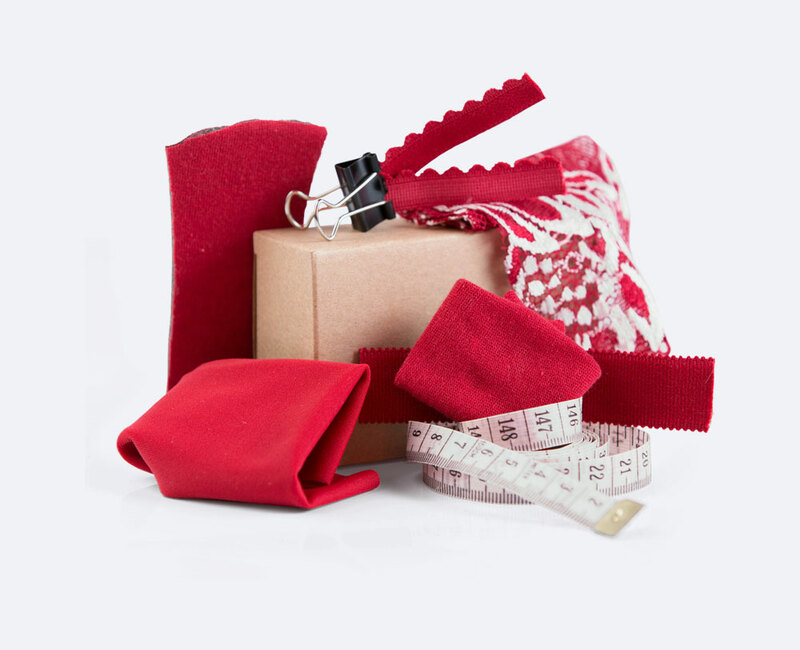 No wrinkling material and no gaps between the material and you. There should be no overflow of flesh at the top of the cups, over the sides, or at the bottom. If the cups still do not feel right, you may want to try a different style; some styles work better for different body shapes. The Seesaw Rule. If the cups fit well but band is too tight, you will need to change the cup size letter to keep the same size cups. For example, if a 38C band is too tight but the cups fit well, go up a band size and lower the cup size one letter to 40B. It works both ways and is known as the Seesaw Rule: up on the band, down on the cup – down on the band, up on the cup. how does it feel? You are the only one who can judge the comfort of a bra, so move around and strike a few poses to test drive the fit. If it feels good and looks good – it is good.